MALCOLM STEWART: born 1808 in Romisdal, Snizort Parish, Isle of Skye, Scotland and died May 14, 1885 in Caledonia, PEI. He married Sarah(Marion) McKenzie, June 4, 1841 in Portree, Isle of Skye, Scotland. She was born 1818 in Portree, Isle of Skye, Scotland, and died January 21, 1896 both Malcolm and Sarah are buried in Valleyfield Cemetery, Prince Edward Island, Canada. It is believed that Malcolm Stewart and Sarah MacKenzie married in Portree, Isle of Skye, Scotland on June 4, 1841 and shortly thereafter emigrated to Prince Edward Island, Canada. Malcolm and Sarah first settled in Green Marsh, (Bellevue), PEI, and then relocated to Caledonia, PEI. Later they were joined by family members from Skye who emigrated in 1858 on the "James Gibb", and also settled in Caledonia. NORMAN STEWART: born about 1766, Portree Parish, Isle of Skye, married Mary Finlayson born about 1767 in Gedintailor, Isle of Skye. Norman and Mary lived in Sconser area of Skye. Children of Norman Stewart and Mary Finlayson included: Alexander, John and Angus Norman Stewart, who emigrated to Prince Edward Island in 1842 and settled in High Bank, Prince Edward Island. RONALD STEWART: born about 1730 married (unknown) Portree Parish, Isle of Skye, Scotland. 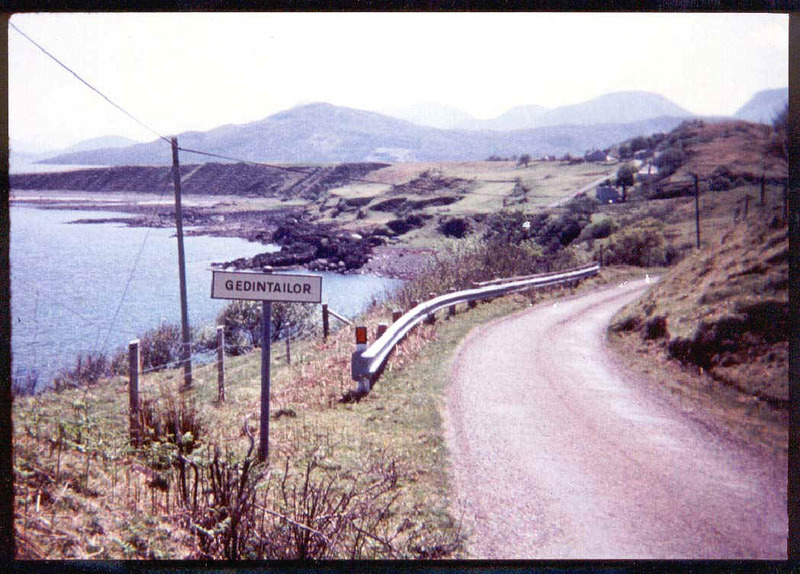 Ronald lived in Sconser area of Skye. Two of Ronald Stewart sons were Selkirk settlers who emigrated from Isle of Skye in 1803 on the Polly. Donald Stewart, married to Catherine Morrison lived in Mugeary, Parish of Portree, Isle of Skye and Charles Stewart married to Mary MacMillan and lived in Sconser, Isle of Skye. Another son Malcolm Stewart married to Flora Campbell did not emigrate he stayed in Skye and raised a family at the Braes, Isle of Skye, Scotland. PAUL MURCHISON: was born abt. 1708 in Ross & Cromarty, Scotland. He married unknown. Paul Murchison had at least two children a son Samuel Murchison, b. 1735, Snizort Parish, Isle of Skye, died April 29, 1822, Skye, buried in Portree Cemetery, Isle of Skye, married Catherine MacLean. She was born 1746 in Uinguish, Isle of Skye, Scotland, and died September 18, 1826 in Skye, buried in Portree Cemetery, Skye, and daughter Marion Murchison, b. abt. 1745, Marion married John Nicholson, born abt. 1745 in The Braes, Isle of Skye. Post a Stewart or other Isle of Skye surname query on the message board. "Please Sign or View My Guestbook"